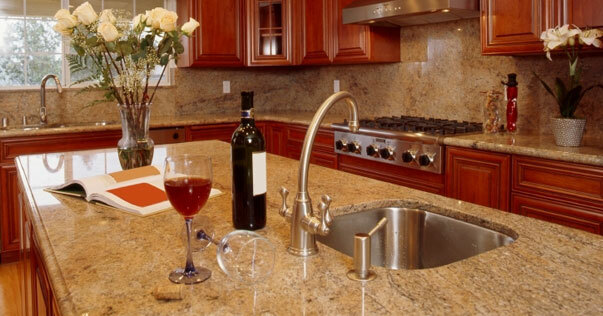 The natural splendor of granite is sure to attract attention when company arrives. Elegant and durable, this natural stone is a favorite among homeowners. It increases the value and appeal of your home while also reflecting your own distinctive style in your kitchen, bathroom, or other special home niche. Mined from quarries around the world, including India, Brazil, Italy, China, and some parts of Africa, the one-of-a-kind patterns and colors that granite offers will ensure an amazing addition to your home that will last for generations. At Stone Mountain Design, we combine superior craftsmanship, dedicated customer service, and expert artistry to make your remodeling experience as pleasant and hassle-free as possible. Taking great pride in the artistic element of our craft, our goal is to offer structurally sound workmanship and aesthetically pleasing layouts and designs. When you select Stone Mountain Design, you can be confident that your remodel job will be skillfully and beautifully done.